Once upon a time media consisted of buying a 30-second spot and slapping a Fruitopia billboard on the side of the highway. Those days are no more, and not just because Fruitopia no longer exists. The rate of change in the media landscape the past two years has been faster than in the 20 years prior. Advertising is content. Content is advertising. It’s madness. But we got your back. Because 160over90’s in-house media planning services were originally rooted in more grassroots activation, our approach to media solutions has remained agile and innovative when it comes to constantly challenging the status quo. We are well-equipped and experienced in concepting, creating, and trafficking campaign deliverables for digital buys, radio spots, television commercials, etc. In the higher ed arena, this includes everything from buying national broadcast television commercials to staging the world’s largest card stunt and placing ads on pizza delivery boxes (which earned attention in The New York Times and USA Today). Our goal is always to balance smart, informed, objective media planning with the level of creativity and disruption that is required to break through today’s increasingly digital and cluttered marketplace. 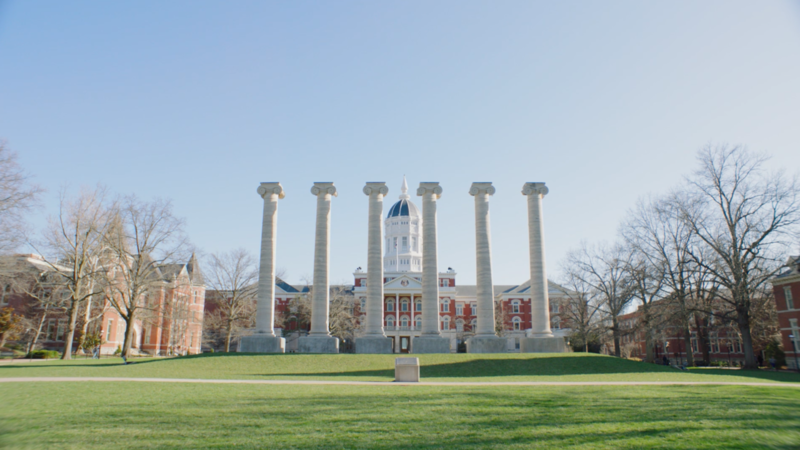 As the first public university west of the Mississippi, Mizzou’s impact on the Midwest is undeniable. Recent struggles with diversity and discrimination have overshadowed their public perception, but the Tigers aren’t waiting for change to happen, they are making it happen today.